Cardinal Piacenza and Fr Damien McCaughan (far right) with other friends of the Sisters. 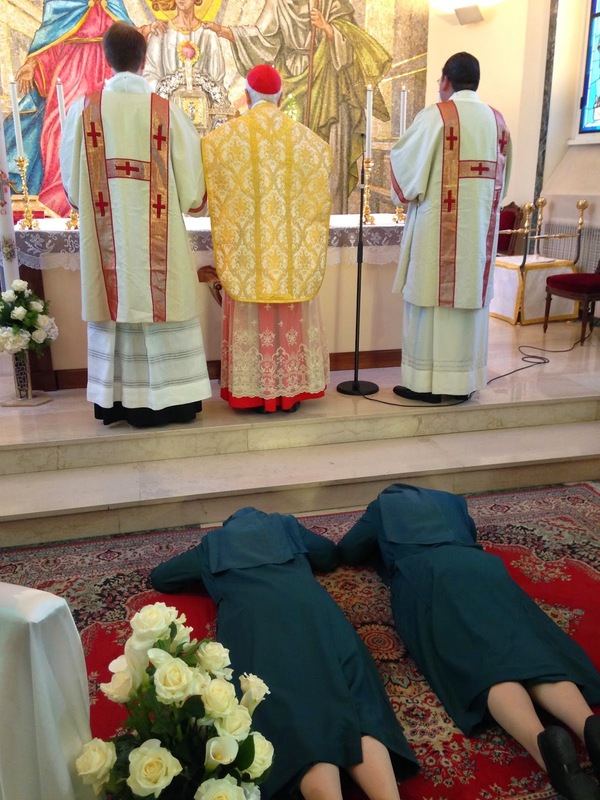 And offer themselves to the service of Almighty God. 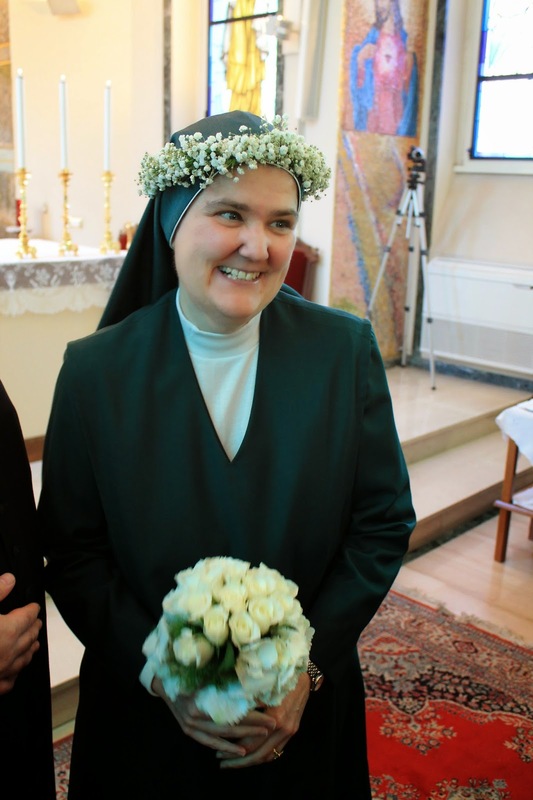 Congratulations to Sr Emmanuela - originally from Wigan in Lancashire. After Mass all went in procession to the new chapel for the novices. 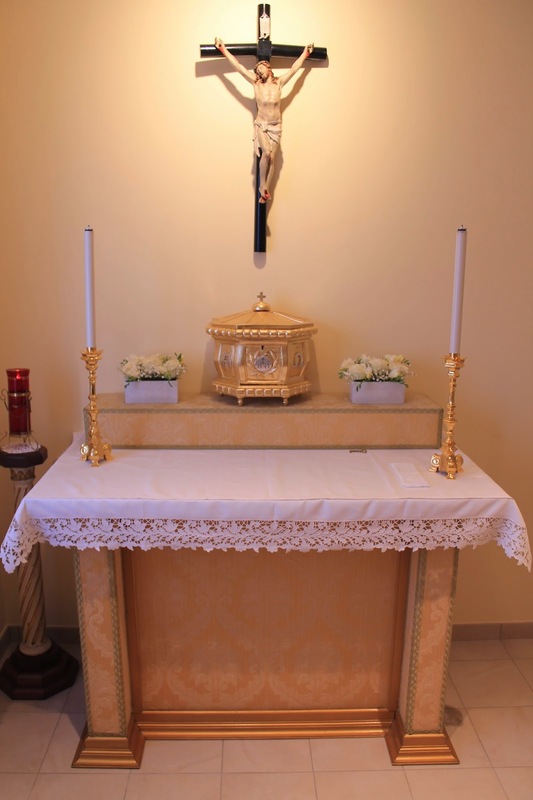 His Eminence brought the Blessed Sacrament up and placed it in the tabernacle for the first time. The altar was designed by the cardinal himself (complete with damask panelling!) and built by the sisters. Afterwards there was a celebratory lunch followed by a cake with a picture of the shrine of Our Lady of Divine Revelation. That Sunday was the feast of Our Lady of Divine Revelation (as well as Divine Mercy!). There were gifts of rosary beads for everyone and here we see our Chaplain blessing them.